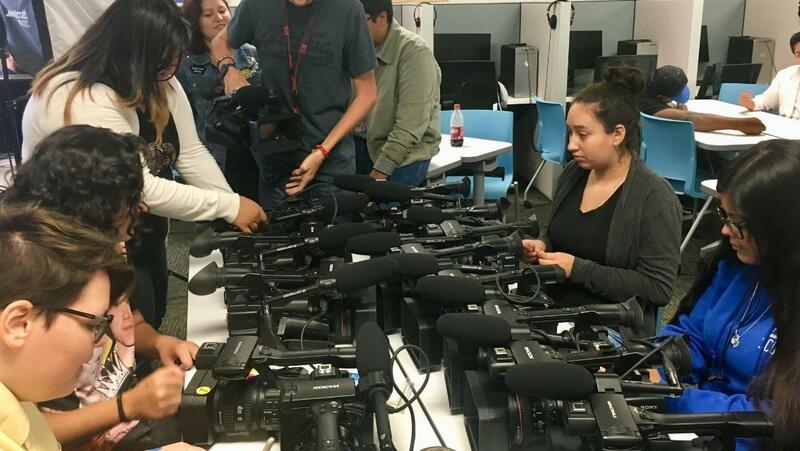 Video Production is a one-year program which instructs students in all aspects of visual media productions including film, news, corporate event production, commercials, public service announcements (PSAs) and documentaries while using state-of-the-art equipment. For more information, click on the "Video Production Program Page" link in the blue box to the right. 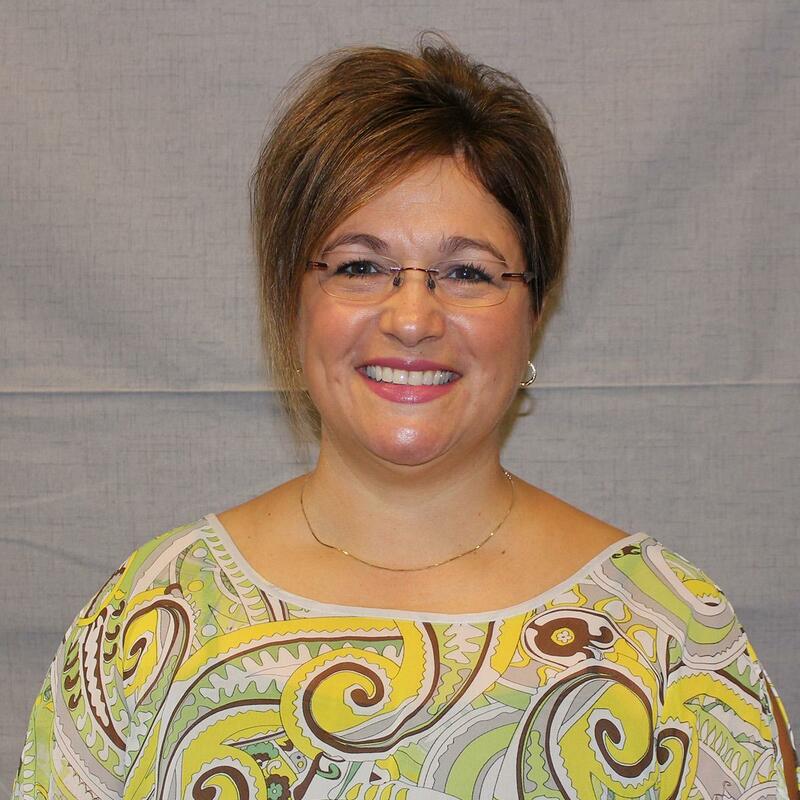 Instructor at ROC since 2018; KHSD staff since 2014. California teaching credential (preliminary) in CTE Arts, Media, and Entertainment. Master’s Degree in Education, Adult Education and Training: University of Phoenix, 2016. Public Information Officer and Communications Manager: KHSD, 2014 - 2018. Adjunct Faculty, Communications: University of Phoenix. Webcast Host (Live Well and The Real Estate Show): The Bakersfield Californian, 2013 - 2014. Freelance Writer: Bakersfield Life Magazine & Kern County Family Magazine. Television/Broadcast Career: Photographer, Editor, Reporter, Producer, and News Anchor: 1994 - 2012. Emmy, Edward R. Murrow, and Public Relations Society of America Award Winner. The AM and PM Video Production classes at the ROC teamed up with JJ's Legacy, a local nonprofit, to learn and spread the word about the subject of organ donation. Students were given stats, research, and access to incredible speakers sharing their story of loved ones who either gave or received a life saving organ donation. When the class was over, the students created 2-3 minute public service announcements which were judged by a panel of experts. During a special "Got the Dot" graduation ceremony, students were awarded schaolrships for their hard work and excellence in video production. They were also treated to t-shirts, lunch, and certificates of recognition from local politicians. Congratulations to the winners, their families who joined us for the celebration, and everyone who participated in this incredible opportunity. Characters came out in force for the very first Video Production and Advanced Film & Cinema party at the Regional Occupational Center! 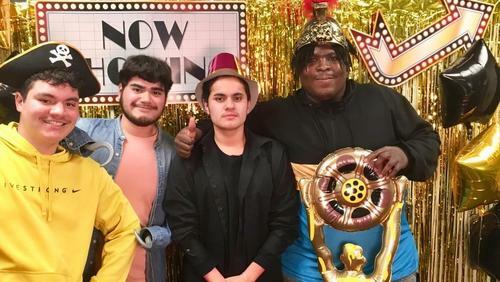 AM and PM classes watched their silent film projects, tested their Oscar knowledge with interactive trivia games, and enjoyed the spotlight in a fun, Hollywood themed photo booth. Lights, camera, action! The Video Production classes at the Regional Occupational Center were recently featured in a video by Miguel Garcia, Public Information Specialist for the Kern High School District. The video showcases the skills the students are learning and what they've accomplished. It was shared on the Kern High Network and several social media sites. Video Production students from the Regional Occupational Center were very involved in the California State Virtual Enterprise Competition and Trade Show held in Bakersfield in January. 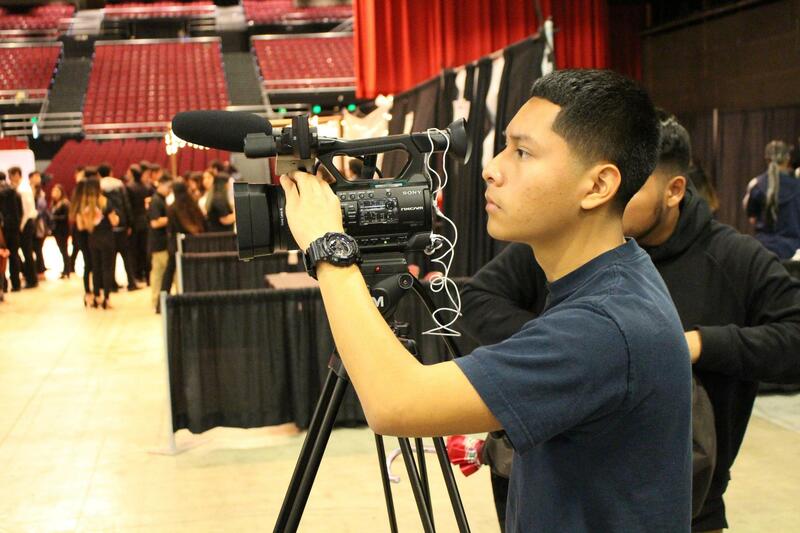 Two Video Production students attended a special evening event, capturing highlights from The BLVD. where 800 students from across the state gathered for fun and networking during the competition. They shot, produced, and edited the exciting video on site, and it was shared with the audience of more than 1,000 people during Closing Ceremonies the following day. Those same students recorded the Business Plan competition and provided students with a valuable learning resource as they now had the opportunity to learn from and improve their individual and team performances by watching the videos. Additional students from the AM Video Production class attended the Trade Show competition with the assignment to shoot, produce, and edit a 2 minute piece explaining what the competition was about, who attended, and the different products, creativity and business savvy on display. “The best part was seeing all the different business ideas come to life,” said Video Production student Damariaye Wilson. “VE was cool," added student Austin Sherrell, "I liked interacting with the schools.” Their video was shared with the PM Video Production class who had the same assignment. Both groups turned out some excellent work, applied technical and soft skills, and worked under the real-world stresses of deadlines, troubleshooting failing equipment, and uncooperative or unusable b-roll and interviews. The Video Production class at the Regional Occupational Center (ROC) was recently contacted by representatives from Chevron. The company was looking for technical assistance and asked students to create a video to feature in their booth during the upcoming Career Expo at Rabobank Convention Center. The video would display photos of various local community service projects and Chevron employees giving back to the community. ROC student Luis De Los Angeles took on the assignment and produced and edited an excellent promotional video. The Regional Occupational Center appreciates our community and corporate partnerships and looks forward to assisting where we can, as we offer opportunities and real-world career experiences for our students. Collaboration across the Kern High School District (KHSD) and the state! 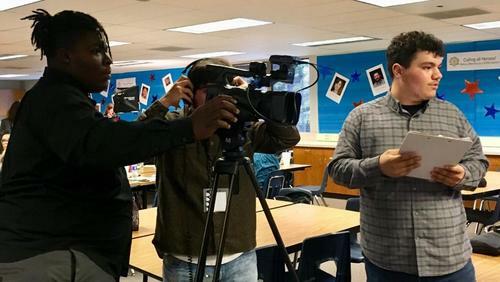 The KHSD Department of Instruction asked the Video Production program at the Regional Occupational Center to help them with a special project. The department was working in collaboration with the California Department of Education, U. C. Davis, and social studies teachers across Kern County for professional development and program framework opportunities. Students spent two days on location shooting interviews and b-roll for the project. Many teachers complimented the students on their professional demeanor, use of equipment, and interviewing skills. The students gathered the footage, logged the b-roll, and sent it up to Sacramento to be edited by the California Department of Education. The project will appear on the CDE website very soon. This video was shot, produced, and edited by the Video Production students at the Regional Occupational Center. It features a presentation by James Gollub of James Gollub Associates, the guest speaker for the Annual Kern County Taxpayers Association meeting held on December 5, 2018, at the Bakersfield Country Club. Video Production students had a unique opportunity to visit the television broadcast studios of KBAK/KBFX. The facility supports local CBS and Fox news programming as well as promotions and production departments. Several employees, including producers, directors, photographers, and journalists took time out of their busy schedules to meet with the students and explain what their careers entail and the training and education necessary to work in broadcast media and video production related fields. 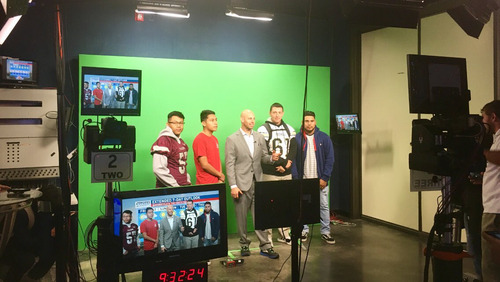 After touring the set and watching a portion of a live newscast, students were treated to photo opportunities on the set and fun with the green screen and weather graphics. They also met with staff who shoot and edit local public service announcements and commercials to explore that area of expertise. The trip to KBAK?KBFX was very popular among students who had never been in a television studio before. Partnerships with industry are an essential part of our mission at ROC. We greatly appreciate those in the community who take the time to share their knowledge and passion with the workforce of tomorrow. Video Production students at ROC work with community partners on a variety of special projects throughout the year. 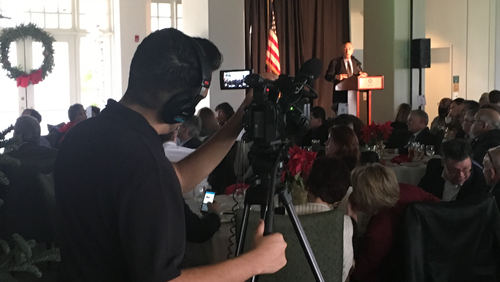 The Kern Taxpayers Association asked the program to produce, shoot, and edit a corporate style video featuring James Gollub, a highly respected economic strategist and guest speaker for the KernTax 79th Annual Meeting. The students held production meetings, prepared and tested their equipment, and attended the event at the Bakersfield Country Club where they met local dignitaries and worked alongside industry professionals in videography, lighting and audio engineering. The student-produced video will be on the KernTax website in the near future. A trip through music history paired with the understanding of radio, professional lighting, and audio techniques was the focus of a special field trip to the studios of KUZZ Radio and Buck Owens Crystal Palace. Video Production students started their adventure learning from popular radio personalities Casey McBride and Brent Michaels as they discussed technology, audio engineering, and the inner workings of one of the most popular radio stations in our area. After the station tour, students met up with Jim Shaw, an original band member of the late Buck Owens' band, the Buckaroos. Shaw gave a tour of the Crystal Palace, audio booth and professional lighting systems that have enhanced the performances of some of the most popular country music artists in the nation during their local concerts on the stage at the Crystal Palace. 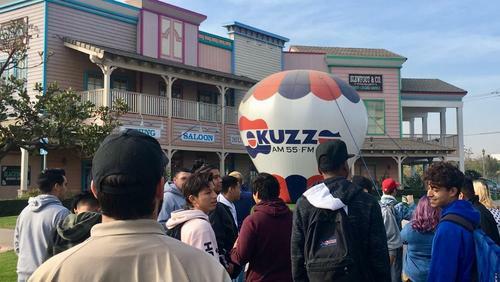 Shaw also told students about opportunities in the fields of lighting and audio in the entertainment industry, while pointing out decades of memorabilia on site and educating students on the history and impact of "The Bakersfield Sound." The Sports Medicine program at ROC worked on a special project with Video Production students by collaborating on their final exams this semester. Sports Medicine did extensive research and prepared content on a variety of health issues. 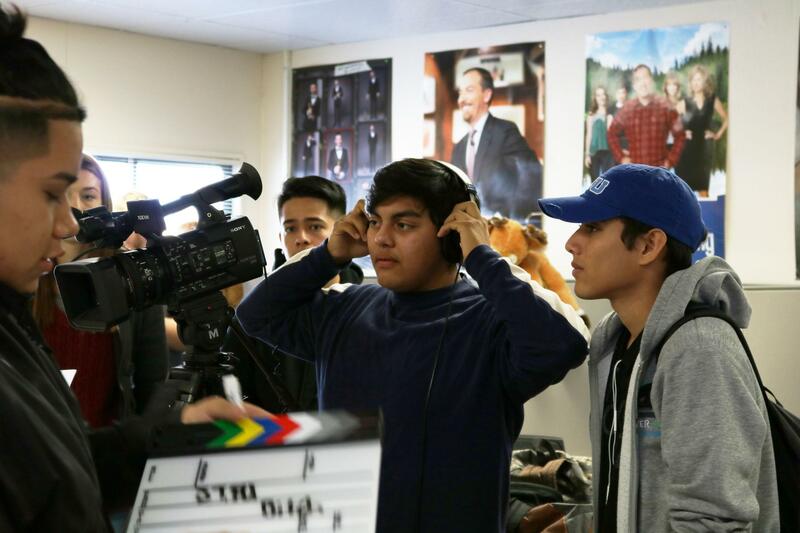 Video Production took their ideas and brought them to life through short films, corporate style videos, skits, and talk show formats and completed the filming, producing, and editing of the projects. Topics included recognizing and treating heat illness, concussions, and eating disorders. Not only did this project develop communication skills and the importance of deadlines for both groups, but it also allowed programs at ROC to work together, learn about their different career pathways, and test their creativity! The grand finale was a group showing of the projects along with a very popular blooper reel created by the students.